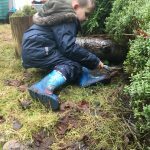 As part of our commitment to ensuring a holistic approach to education we have been developing our outdoor provision to include learning based on a Forest School philosophy. 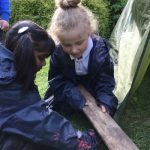 Our aim is to fully embed Forest School practice within our setting using it to extend and enrich the learning already taking place. 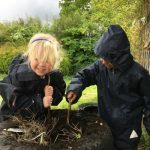 How does a Forest School Approach support the curriculum? 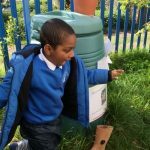 Through its emphasis on the importance of the characteristics of effective learning, the Early Years Curriculum (2012) places a high priority on respecting children’s individual learning styles. 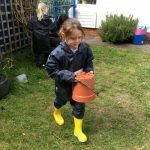 The characteristics of effective learning are the skills children need to acquire to become confident and successful lifelong learners and they are a vital part of our curriculum. The focus is on the process of learning and on how young children learn most effectively. 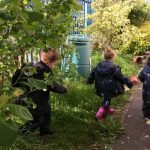 The benefits of Forest School. Our self-esteem is our measure of our self-worth. It is how we judge our own value in the world around us. How we interact with children has an immediate effect on their feelings and confidence. 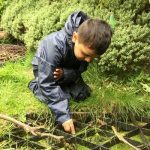 Forest School activities are tailored to children’s developing interests. 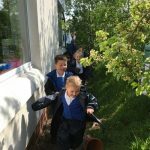 Tasks are achievable and children are taught to keep trying if something is not immediately successful, developing an increasingly resilient attitude to learning and a can do attitude to problem solving. 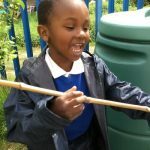 The process is the most important aspect of any activity at Forest School. 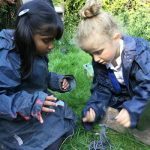 Forest School supports children’s growing independence through tailoring activities to fit specifically with children’s interests and needs. 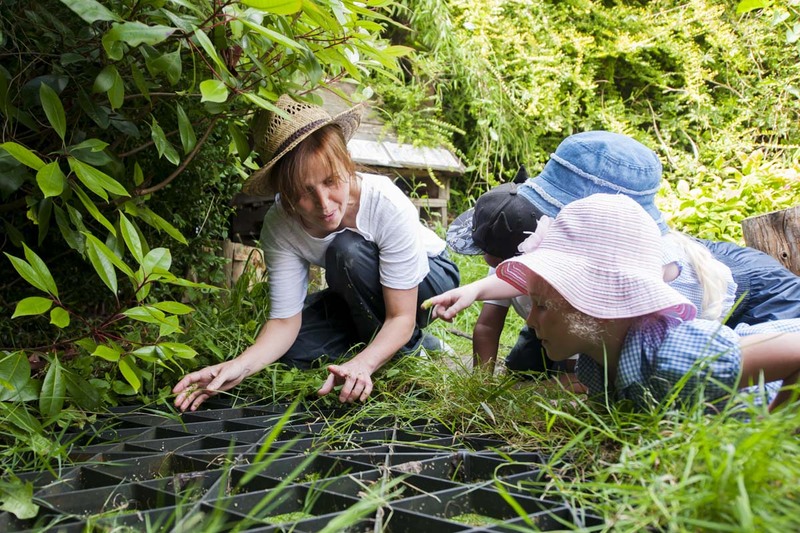 Close, ongoing observation is an integral part of Forest School practice. 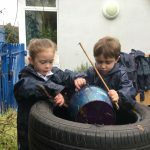 Observations allow practitioners to effectively evaluate knowledge, understanding and children’s different learning styles and to further develop a meaningful and challenging learning experience for every child. 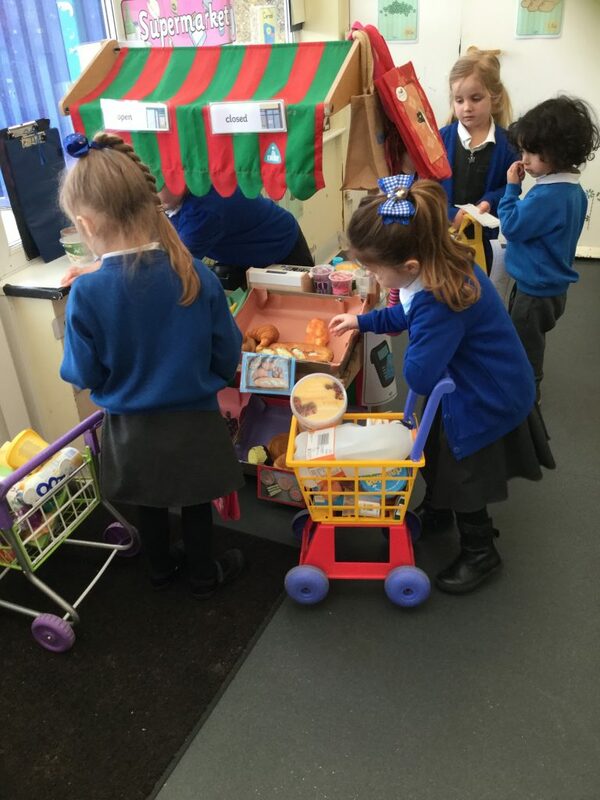 Children have time to develop and reflect on their interests both as individuals and as part of a group. 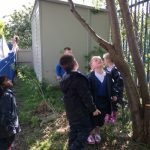 Children learn to take risks within a natural environment that is as safe as possible while developing the understanding that no environment is completely safe and that we all have responsibility for our own and other people’s safety……..a valuable life lesson. 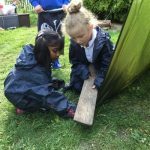 Forest School gives children the chance to play and learn with different people and to find out about each other’s interests and strengths. 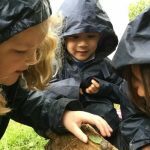 Children have the time to develop new relationships that are based on meaningful shared experiences and exciting new discoveries. 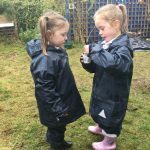 Sometimes whole groups can become interested in rainfall, mini-beasts or imaginative play and this creates a strong bond between children. Children learn that we are all unique but that sometimes we are more like other people than we may have realised. 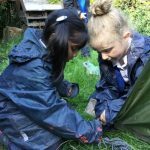 Respect for and trust in each other is an important aspect of Forest School philosophy. 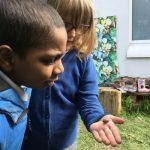 Forest School is a wonderful opportunity for children to experience the changing seasons and climate, to think about our impact on wild, natural spaces and to observe and investigate the life cycles of plants and animals first hand. 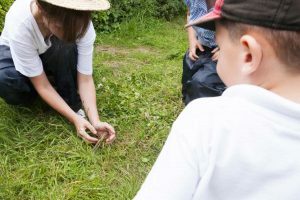 Respect for the world we live in is an integral part of the learning that takes place at Forest School. 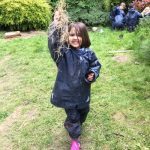 Child-centred and child-initiated play and learning: The learning at Forest School is wholly child-initiated. Children can be as active or reflective as they wish and learning develops according to children’s interests in a way that respects individual learning styles and each child’s chosen pace and path.